There are numerous Leadership Opportunities available for students looking to get involved at URI Hillel. You can join the Student Board. Become a Hillel Intern and work at the Hillel front desk. 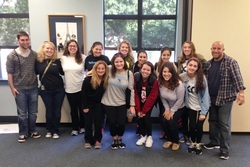 Learn about different volunteer opportunities at URI Hillel.